The Fractions! Fractions! Fractions! 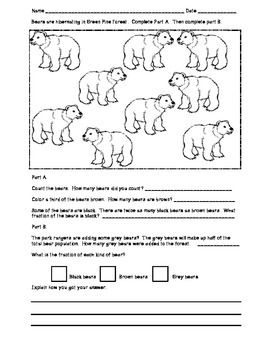 pack can be used to introduce or practice problem solving with fractions. •	Each sheet includes a picture for your visual learners. •	The questions start off simple and increase in difficulty. 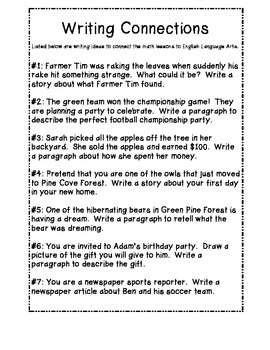 •	Students are also asked to explain how they got their answer. 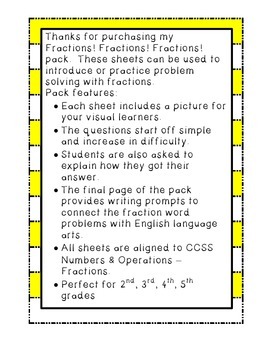 •	The final page of the pack provides writing prompts to connect the fraction word problems with English language arts. 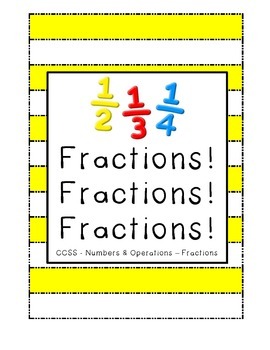 •	All sheets are aligned to CCSS Numbers & Operations – Fractions.